The Florida Family Association office sent 176 emails to the CEOs and Marketing VPs of companies that advertised on shows which target our children with homosexual propaganda and explicitly immoral content during the past 22 days. Nickelodeon’s sexually perverted cartoon Glenn Martin DDS has not aired on their popular children channel Nickelodeon for three weeks. Nick moved Glenn Martin DDS to their Nicktoons network which does not contain advertisers and has much fewer viewers. Spike TV’s Blue Mountain State, known for bashing Christian athletes and raunchy content has not aired for approximately a month. The shows which we sent emails to advertisers for targeting our children with homosexual propaganda and explicit content included MTV’s Skins, Teen Nick’s Degrassi, G4TV’s Rated A for Adult and VH1’s RuPaul Drag Race Show. Some of the other shows monitored include Entertainment Channel’s Sexiest, LOGO’s Noah’s Arc and LOGO’s Adam & Steve. We have some promising news regarding the scheduling of the shows Blue Mountain State and Glenn Martin DDS. 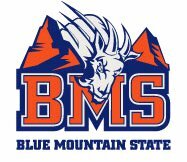 Spike TV’s Blue Mountain State, known for bashing Christian athletes and raunchy content has not aired for approximately a month. Nickelodeon’s sexually perverted cartoon Glenn Martin DDS has not aired on their popular children channel Nickelodeon for three weeks. Nick moved Glenn Martin DDS to their Nicktoons network which does not contain advertisers and has much fewer viewers. Additionally, MTV’s Skins and Teen Nick’s Degrassi have not attracted any new significant advertisers. Most of the 176 emails sent to advertisers by the Florida Family Association office were to repeat advertisers on all shows monitored. BMW says no to LOGO’s show Noah’s Arc. I thought this had stopped. I have asked our head of MINI to investigate and report back to you. I confirm that I do not support this. Il Primo Pizza says no to MTV’s show Skins. Thank you for bringing this to my attention. I was not aware we were advertising on Skins. I have a teenager and have the same feelings as yourself about that show. My next email will be to my Comcast representative to insure we discontinue any advertising on Skins and possibly MTV altogether. Hope someone gets the point and gets that show off the air. Thank you again for this email and what your association does for our children. If there is any other way I can help please let me know. Hoover Vacuum says no to RuPaul’s Drag Race on VH1. I am very disappointed to hear that our brand was advertised during this show. This is not supposed to be a part of our advertising strategy. I will personally see to it that it is pulled immediately. Thank you for bringing it to my attention. Woodman Labs – GoPro says no to G4TV’s show Rated A for Adult. Our ads will not appear on that show. Gopro – Woodman Labs, Inc.
Eco Tech Institute says no to G4TV’s show Rated A for Adult. You may have already heard from others on our staff, but let me make it clear that neither Ecotech Institute nor any of our other schools knowingly advertise on channels or programs that could be defined as pornographic. We do often buy what are called "rotators," which are commercials that might fall within any show over a wide time period, but we specifically request that the commercials do not air in such programming and will speak with the network about this. An email from you expressing your appreciation and encouragement to these officials is helpful. Please feel free to send an email thanking these officials for their decisions not to advertise on the respective programs. To take action on Florida Florida Association headline issues please click here. Your support is important to our continued strength and success. To support Florida Family Association’s efforts with a tax deductible, confidential gift please click here or mail you gift to: Florida Family Association (FFA), PO Box 46547, Tampa, FL 33646-0105. Please NOTE that our site now accepts online checking account donations.